I'm in love with this new design pillow. 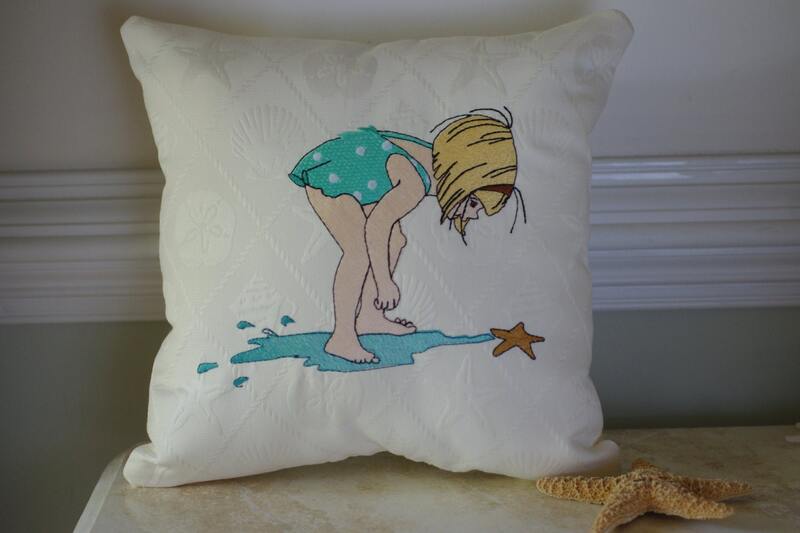 It's the perfect pillow for anyone who loves shelling or beachcombing. Perfect also for a little girl's room. Great idea for a new baby gift. Embroidered on our ivory shell trellis fabric. This fabric is beautiful. You can pick the hair color of the little girl and her swimsuit color to match your room. 14" x 14" full pillow. Each pillow is filled with quality polyfil. So happy with my purchase. Excellent quality. Thanks.